It is with heavy hearts that the family of Michael Cuthbert announce his passing on January 18, 2019, after a long, courageous journey with glioblastoma. Michael is survived by his beloved and devoted wife Cheryl, his daughters Kristin (Chris) Cuthbert and Laura Cuthbert and his stepsons Dustin (Jodi) Dawson and Brayden (Jody) Dawson. His grandchildren, Brianna, Chyanne, Bodhi and Bree who will miss their Papa. Michael had an especially close relationship with his siblings Patt (Randy) Roberts, Kathleen Gugin and Paul (Rosanna) Cuthbert. Michael will also be deeply missed by brothers-in-law Bryan (Maureen) Mymko and Gary Mymko. Michael was predeceased by his parents Peter and Clarice Cuthbert. Michael was born in Winnipeg and grew up in Silver Heights attending school at Strathmillan, Golden Gate and Silver Heights Collegiate. He knew from an early age that he wanted to be a dentist and in 1979 graduated from the University of Manitoba. 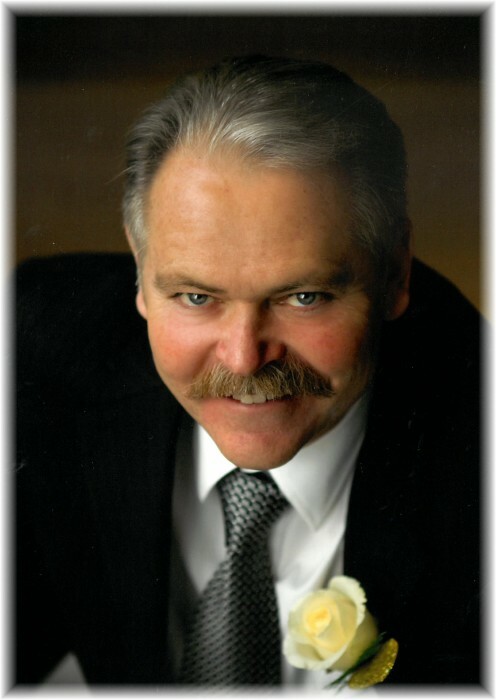 Michael practiced dentistry in Dauphin for 37 years. He was an avid learner and enjoyed mastering all the latest dental techniques. In 2014 Michael was honoured by his fellow dentists by being elected as a Fellow of the International Honour Dental Organization the Pierre Fauchard Academy. Michael was proud to be serving as a Director of the Manitoba Dental Association when he became ill.
Michael was an outstanding professional respected and admired by his colleagues, staff and patients. He was the consummate friend - generous and loyal. Proof of this was the continued support and love he received from his friends throughout his illness. Family was so important to Michael. He and Cheryl celebrated with joy all the children’s accomplishments and milestones. There was nothing he wouldn’t do for them and for Cheryl. His nieces and nephews will miss their special uncle. They delighted in his company and sharing adventures together. Michael loved to laugh. He could tell a great story or share a joke. He was an avid skier, golfer and fisherman. The cabin at Dauphin Lake was his refuge and a gathering place for family and friends. There are countless memories of times sharing a fire and a scotch after a BBQ. Michael was an amazing man. He was kind, thoughtful, unselfish, funny and compassionate. He was loyal, patient and fun loving. Throughout his illness he never complained and his thoughts and concerns were always for everyone else. He taught us how to face the future with grace, strength and dignity. We will miss Michael every day and carry his special spirit in our hearts. A Celebration of Michael’s Life was held on Saturday, January 26, 2019 at 1:00 pm at the Ukrainian Orthodox Auditorium (Eighth Ave. Hall), 304 Whitmore Ave. East, Dauphin, Manitoba. In lieu of flowers, donations may be made to the Dauphin & District Community Foundation or the Parkland Humane Society. We would like to express our sincere gratitude to Dr. C. Harlos, Dr. S. Kakumanu, Dr. G. Bretecher, Dr. R Smith, Nurses, Aides, Family, Friends, Colleagues and Patients for their support and love throughout this most difficult journey.